Beautifully kept lounges, well-appointed dining rooms, a vintage sunroom, and a huge auditorium – all a perfect fit for your reception, luncheon, bridal shower, conference, or any other event. Contact us with your questions, schedule a tour of our space, and to get your event booked today. Houses the original guest book, dating from 1914. Can be used for small gatherings and meetings. Can comfortably seat up to 10 guests. The Auditorium, complete with a raised stage and proscenium arch, features a Steinway concert grand piano and includes three dressing rooms, a screen for movies and presentations, additional stage access from the basement and access for loading from the back of the building. Out front there is a ballroom dance floor original to the building and an additional Monarch upright piano. 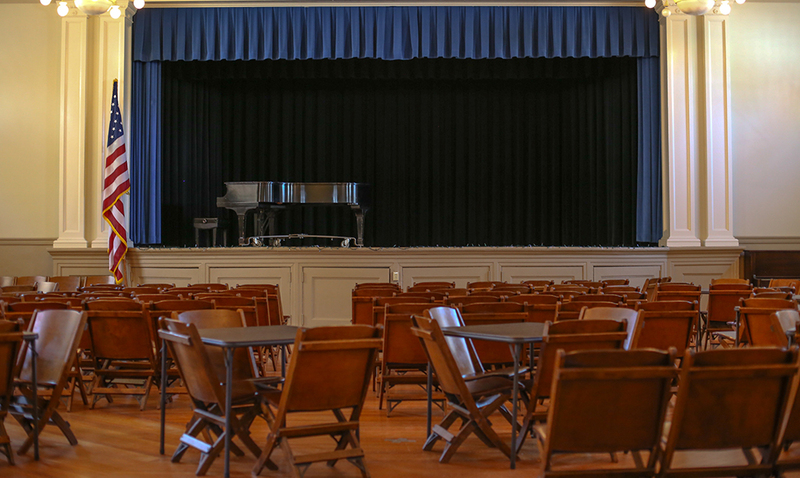 The ballroom is used for galas, balls, fundraisers, weddings, dinners and dances, and the full auditorium for plays, recitals, musical and speaking events. The room measures 44’ by 51’ and can seat 200 theatre style, 150 dining only, or 100 for dinner and dancing. 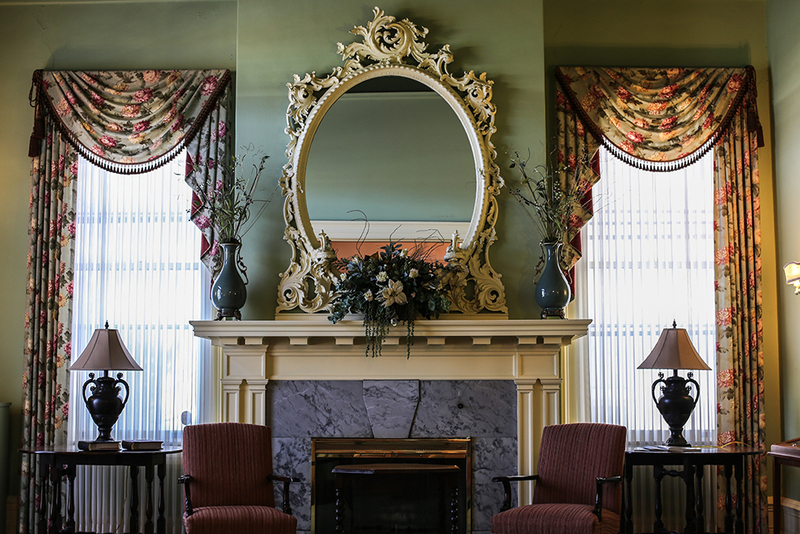 Our famous Green Room features a fireplace, a hardwood dance floor, parlor grand piano, and direct access from the caterer’s kitchen. It is perfect for cocktail parties and dinners, baby showers and bridal showers, small dances, and art exhibits. With a pull down screen and projector, this room is also used for classes, business meetings, presentations and video conferences. 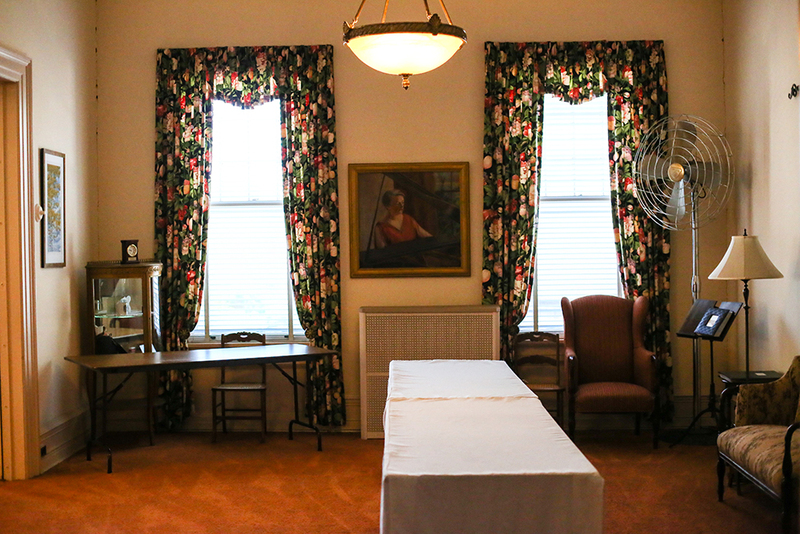 The Green Room measures 25’ by 46’, and can hold up to 80 guests. 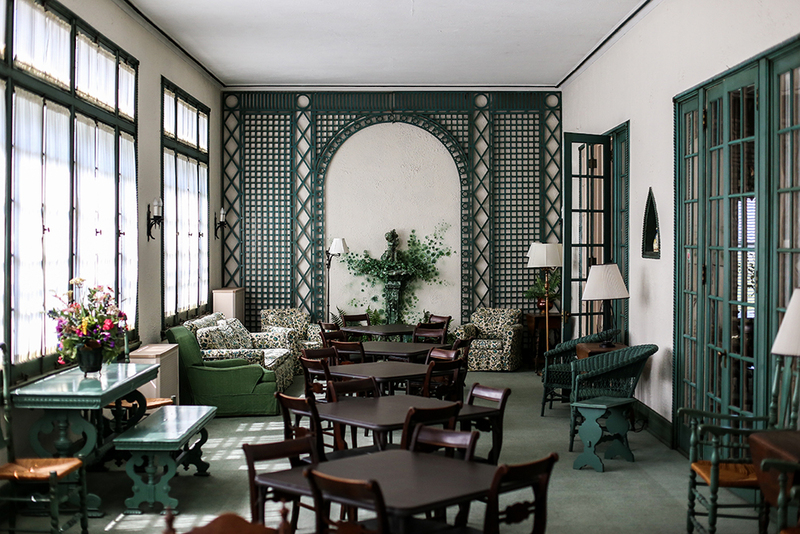 Our large lounge is perfect for large gatherings, receptions, and meetings, seated dinners and parties. 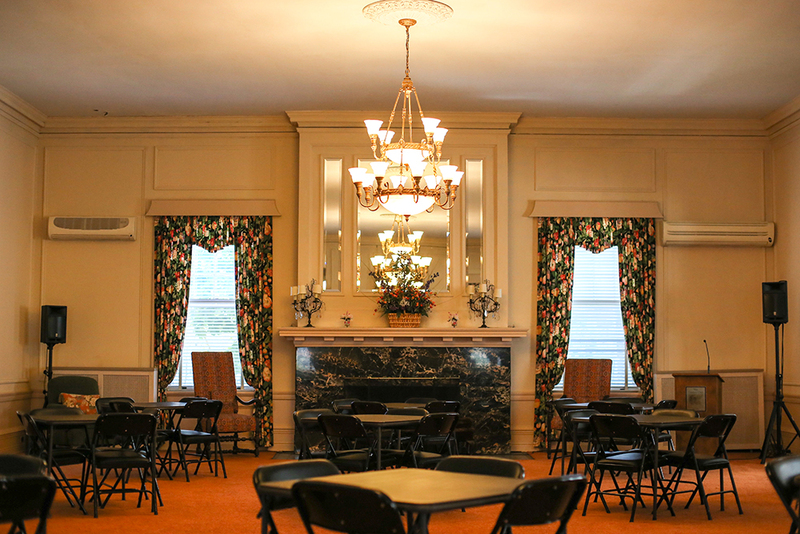 Originally known as the “Club Room”, it’s adorned with a fireplace, a Steinway parlor grand piano, and hosts all of the major club luncheons, teas, dinners, speakers and meetings. Have a birthday or anniversary to celebrate? Celebrate it here. The Lounge measures 29’ by 46’, and can comfortably accommodate up to 100 people seated. The Little Lounge is a quaint room fitting for small gatherings and events of up to 20 people. This room can also be added to the large Lounge for even more space. The Little Lounge measures 16’ by 18’. Perfect for small luncheons, meetings and gatherings, the sunroom can be an additional seating area added to the Lounge. Our sunroom measures 8’ by 46’ and can accommodate up to 30 people. 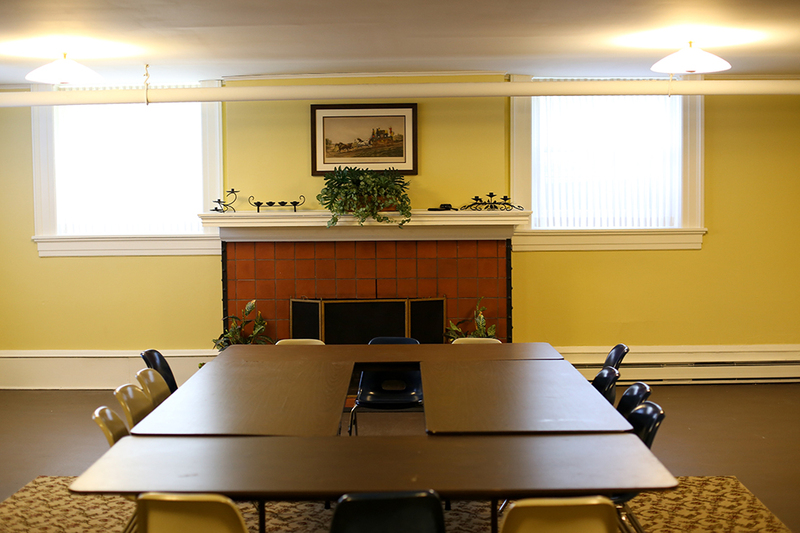 Our Board Room is ideal for small meetings and classes, and can seat 30 people quite comfortably.